You people have been pitifully amateurish, bordering on corrupt. You have been unfair in continually changing your minds. People have spent their own personal money because they know there is a schedule to meet. Yet we don’t know whether the money is even there to make this movie, Wild Oats. Your oats are being sown in ways that are wildly unfair. Show me the money and I’ll show you my signature. On behalf of everyone who is having a difficult time with your inability to organize even a Good Humor Bar, I’m waiting . . .
No money, no signee, no movie: only dirty laundry. THAT WAS the email I almost sent. But I’m glad I didn’t. The day I wrote it was the opening round of a boxing match between me and independent filmmaking. Why were we in the ring? That’s what this book is about. It isn’t often that a person my age (eighty-one), with a past (this time around) of work pretty well done and a life exuberantly led, gets to experience a real-life movie while making a reel-movie movie on next to no money. Making a movie is the most useful experience I’ve found for getting to know more about myself. But you don’t have to be an actor or work in show business to have that experience. We’re all creating our lives every day. We are the actors and writers and directors and producers and financiers of our lives. So I’d say that means that our life itself is an art, one we’ve chosen to take part in. It’s like a movie we’ve chosen to make. Both need financing. Did anyone assure us when we were born that the money would be there? No. Did anyone assure me when I began Wild Oats that the money would be there? No. So why did I do it? Ambition? Adventure? Challenge? Fame? Because they asked me to? I’m not sure the “why” even matters now. Is any of what we call real actually real anyway? I realize that’s a big question, and one that came back to me many times during the events I’ll be sharing with you in this book. Here’s a part of the answer: you’ve got to sow your own wild oats to find out. Wild Oats started about five years ago. I sat at dinner in New York in the Village with two women. I can’t really remember many details about them except one was heavyset and one lived part-time in Paris. They had a script about two women who went off on an adventure . . . or was it a mother and daughter? Or was it a grandmother and granddaughter? There have been so many versions, I’ve forgotten them all. It was kind of a comedy—but not really that funny. I was polite but more interested in the dinner I was having. Delicious and French. Somebody knew what they were doing. There was a woman director involved. I don’t remember if she was one of the women at dinner. Fast-forward a year . . . I don’t know where the expression “amateur night in Dixie” comes from, even though I am from the South and I stopped being an amateur a long time ago, at least where films are concerned. When I asked the director what the budget was, or should be, she said, “I’m not interested.” She said the same thing when I asked how long the shoot would be and how much I’d be paid. When I came right out and asked, “Do you have the money to make the film?” she repeated, “I’m not interested.” So by the end of the meeting, I said, “Likewise,” and left. Fast-forward one or two more years . . . I have an agent named Jack Gilardi who inherited me after Mort Viner, my previous agent, died on the tennis court. Jack professes to be around seventy-eight, but he’s older than me. He’s from Chicago and basically trusts me, I think, because I once told Sam Giancana to f—— himself. I trust him because he trusts me. I’ve not changed agencies since I came to Hollywood in 1954. I know it’s stylish to keep changing, but an artist’s career is in a constant state of change anyway. If it’s not, then you’re not going for longevity. So when it came to my representation, I stayed with what I knew and trusted. I love Jack, and vice versa, and am well aware that I’m involved with putting his grandkids through college! I can’t retire. I want them to be educated. So Jack was involved with the conversations about Wild Oats from the beginning, and he eventually worked out the deal for me to take the part. Neither of us had a clue what we were getting into. The original script and story was to be shot in Las Vegas (a place where the women could sow their oats). But when other states and cities started offering tax rebates and so forth to film companies, studios and screenwriters shifted their focus to saving money instead of saving scripts. That was okay at first, but as time passed, the budget of any movie came to trump the story. Actors realized they would be shooting wherever the biggest rebates were, and so they were always waiting for rewrites reflecting a new location. Thus, the availability of the actors continually shifted. The Wild Oats script was written and rewritten for Pittsburgh, Las Vegas, New York, New Orleans, Puerto Rico, and finally, the Canary Islands. My original costar was Jacki Weaver. Because Jacki finally took work on a television series and had to withdraw, over the next five years we at various times welcomed to the cast Kathy Bates, Jane Fonda, Bette Midler, and finally Jessica Lange. That’s just one part of what went on during the five years it took to get ready to shoot. Thanks to amateur decisions, stupid contracts, and scattered decision making, five hundred thousand dollars had been spent even before we landed in the Canary Islands. That made sense to me, and besides, she liked the script. Neither of us knew who was cast with us. I gave up trying to keep track. At various times, there had been Alan Arkin, Jim Brolin, Donald Sutherland, Frank Langella, Brian Dennehy, Jon Voight, Kelsey Grammer, John Lithgow, and Christopher Walken. I hate flying at thirty-seven thousand feet for longer than four or five hours. The trip to the Canary Islands was thirteen hours on Iberia Airlines. I realized then that Iberia Airlines must have made a deal with the producers. The seats, however, were comfortable, and I’m glad to say weren’t the pod-like structures that to me resemble nothing so much as the kind of tiny, bargain-size New York apartment that you can barely afford when you’re broke. I wore my ozonizer around my neck and doused my hand wipe with more water, fit it inside my eye cover, placed it around my nose, and breathed in moist air. That always solves my problem with dry nose from air travel. A woman representing the production company traveled with us. I will call her Miranda. She seemed sweet, attentive, and quiet. I was especially pleased with the quiet part. Jessica was assigned a seat a few rows behind me, not within talking distance. We were both glad of that. I read, declined booze, drank water, and contemplated why I was on the plane. Apparently, after they’d heard I hadn’t made it onto the first flight that had been scheduled for me, the company on the Islands location waiting to begin shooting had placed bets as to whether I’d get on this plane. I noticed on the way to the toilet that Jessica was studying the script and making notes. I hadn’t read the thing since I’d suggested it shouldn’t be about two women on an adventure but rather a mother and daughter or granddaughter. I thought two women who were friends was too reminiscent of Thelma and Louise. Grandmother and granddaughter provided an opportunity for an entertaining gap in generations as they were on an adventure. I said I didn’t know. Neither did my agent, Jack, and neither did the director or anyone else involved. I remembered the original director saying, “The money? I’m not interested.” Was I now doing the same thing? There was some talk about a millionaire who maybe owned an island or two. There was a letter stating that his money was apparently good . . . to the tune of $3.5 million. Another producer named Michelos had maneuvered a tax and rebate deal with the Canary Islands for $2.5 million. And there were smaller investors at thirty thousand apiece. In the course of making the movie, I came to understand that the character of an investor is the most important thing to know about him or her. After sixty years in the business, I’d never realized that the personal character of each investor was as important to the film’s outcome as the characters in the movie. But then, that was what independent filmmaking had become: the art of lining up investors. There are two businesses in this world—everybody else’s business and show business. Everyone wants to be in show business, at least once. That’s where the personal values and character of the investors comes in. But I don’t want to get ahead of my story. We landed in Madrid. The airport there is a twin to Rodeo Drive in Beverly Hills. All the brand-name, high-end designers are represented in luxurious shops that beckoned us simply to browse. No one from the production met us in Madrid to shepherd us through to the next leg of the trip: three and a half hours to the Canary Islands. But Miranda spoke Spanish, so we were fine. When I noticed so many of my fellow travelers to the Islands were German, I couldn’t help but reflect on the alliance between Hitler and Franco of Spain during the Spanish Civil War, a rehearsal for the Second World War. Traveling has always been a history lesson for me, making real what is otherwise a printed chapter in a book. Exhausted, I nonetheless wondered why we hadn’t gone through customs or the Spanish version of TSA. I became markedly aware that fame and power in Spain made a person exempt from such invasions of privacy. I guessed the days of royalty and dictatorship still had a lot of sway over what the common man goes through. On Iberia Airlines to the Canary Islands, first class had three seats across but the middle seat on every row was empty. I found out later it was empty “to ensure the comfort of the seats on either side.” There were people turned away at the gate because the flight was full. I noticed an advertisement for the airline: “Only Iberia Can Fly Your Clients to the Lost Continent of Atlantis.” Intriguing. My mind swirled into metaphysical mode. I’d researched this place before I’d set out on this adventure, and I’d learned that many people believed that the Canary Islands were the remnants of Atlantis. The ocean I could see out the airplane window was the same one into which parts of the continent of Atlantis had supposedly sunk. When we landed at Gran Canaria and I disembarked, I was stunned at what greeted me—a wheelchair and an attending medic! I was told later that intense discussion and deliberation had gone into the size and make of that wheelchair. I was also told they had scheduled regular naps for me during the stay. Frankly, I laughed, but out of embarrassment. I’d been pressured to come to the set now in order to reassure nervous investors of the start date of the shoot—and yet I was to arrive in a wheelchair with a doctor? What did eighty years old mean to these people anyway? The drive from the airport to the hotel played a big part in a scene in the movie. I expected palm trees and wafting ocean breezes. The landscape included palm trees all right, but they protruded out of hills that had been carved into and hacked away. Although part of Spain, the Canary Islands are just sixty miles off the coast of Morocco, and what I was seeing looked more like the Moroccan desert than Spain. Everywhere the land was barren, and many of the hillsides were slate and rock that seemed to have been mined. I could see palm trees in the sand in the distance . . . but the landscape was not at all what I had expected. Ron Howard had shot In the Heart of the Sea there for months the previous year; with their tax rebates, the islands have become a favorite place to save money on a shoot—particularly if it doesn’t matter exactly what it looks like because your production is going to use a lot of green screen. As we approached the hotel, the environment shifted. First I noticed a wave of shops—electronics equipment, food markets, malls, hairdressers. Then, straight ahead loomed the resort hotel. It was the gigantic Lopesan, with well-tended gardens, circular driveways for buses and limos, Spanish-style architecture with vaulted exterior walkways over which palm trees swayed in a gentle breeze. I got out of the car and immediately spotted the high-end dress shops that would serve not only the German tourists but provide much of our own wardrobe for the film. After all, the women Jessica and I were playing were supposed to be on an adventure, leaving their past—and their hometown style—behind. I remembered the fittings I had had a week before. Dozens of off-the-rack garments, which the costume designer had paid for herself since the funding wasn’t quite in place. Jesus . . . I was greeted by hotel staff as if I were the Queen of England. In the elevator to the sixth floor, I was recognized by a group of German tourists. I guessed the sales of my films in Germany must have still been pretty respectable. (Money for films these days comes from selling the distribution rights to foreign territories.) Most of the international territories would fund me in a comedy or a musical. Our script had some laughs, but I was quite sure that there was no money put aside for things like postproduction music. But I’m getting ahead of myself again! I was ushered into a large, luxurious suite that had a view of the ocean far off in the distance. It seemed too quiet. I didn’t hear the waves, but then how could I from this distance? Below me, there was a massive patio full of tables and chairs and lounging couches and waiters and bulging German tourists eating munchies and drinking caipirinhas (a Brazilian cocktail to die for) as they breathed in the ocean air and relaxed. Their vacations ranged from two weeks to a full month. This was to be the view from my window every day. The hotel manager led me through the sitting room into my bedroom and bath. There were sweet-smelling candles everywhere (a gift from the producer Michelos), snacks, fruit, and flowers. Very nice. The bedroom also overlooked the ocean and the sprawling patio of tourists below. I noticed two smallish outdoor stages in the midst of the patio. I wondered what would happen upon these stages, but didn’t ask the manager. Big mistake. Adjacent to the bedroom was a luxurious marble bathroom, which was pretty to look at but meant only one thing to me: I was sure to fall on the slippery-when-wet floor. Anticipating this, I asked for rubber mats to be placed clear across the bathroom floor and into the shower. Such a request was not very graciously received by the management, but they did it anyway. One fall and I’d have needed that wheelchair for sure. I refrained from asking how the shower worked. (It looked like the cockpit of a spaceship.) I figured it would be good exercise for my brain to take the time to figure it out myself, as long as I didn’t lose my balance in the process. Someone unpacked for me (since I was the queen who would provide the management with product placement). After I’d freshened up (but still gotten no sleep), Andy the director called and asked me to join everyone on the patio for a drink. On the way down in the elevator, I found out something new about myself. Traveling to unfamiliar places always puts me in touch with what I don’t yet know about myself. This time I realized I needed to be more aware of the limitations of my memory capacity. As soon as I’d left my room and walked down the hall, I couldn’t remember my room number or even what floor it was on. I was confused when I tried to call room service or the front desk from a phone in the hallway. I had become used to my cell phone (no easy task), but were the phones in hotels landlines? There didn’t seem to be an operator on the other end. What if I really needed to speak to a human being? I understood that technology had taken over the world (particularly for wealthy people), but only in that moment did I grasp that I hadn’t paid enough attention to all the newfangled means of communication. And when I got in the elevator and realized I was unsure which button to press for the lobby, I waited for someone else to get in and push the right one for me. Maybe I did need that wheelchair at the airport. 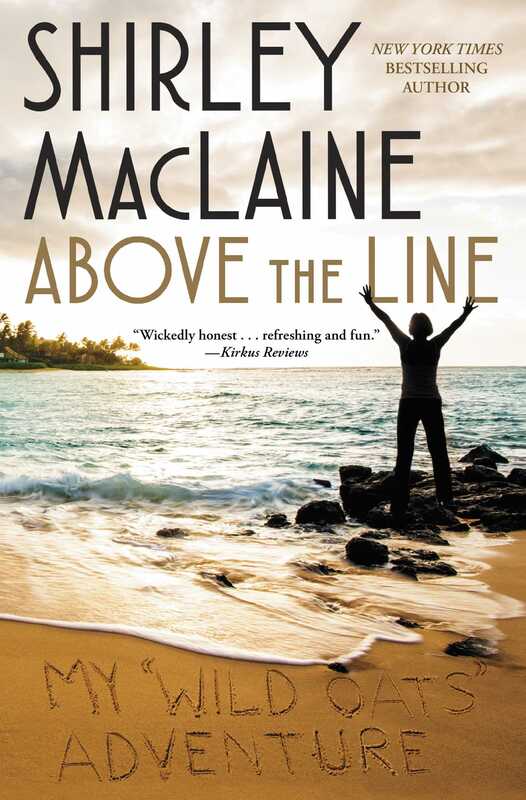 "Above the Line: My Wild Oats Adventure is MacLaine's funny new book about the near screwball comedy of errors making the film about a woman (MacLaine) who accidentally receives a life insurance check for $5 million instead of $50,000 and is persuaded by her friend (Lange) to keep the money and go to the Canary Islands...But Above the Line is about a lot more than filmmaking." 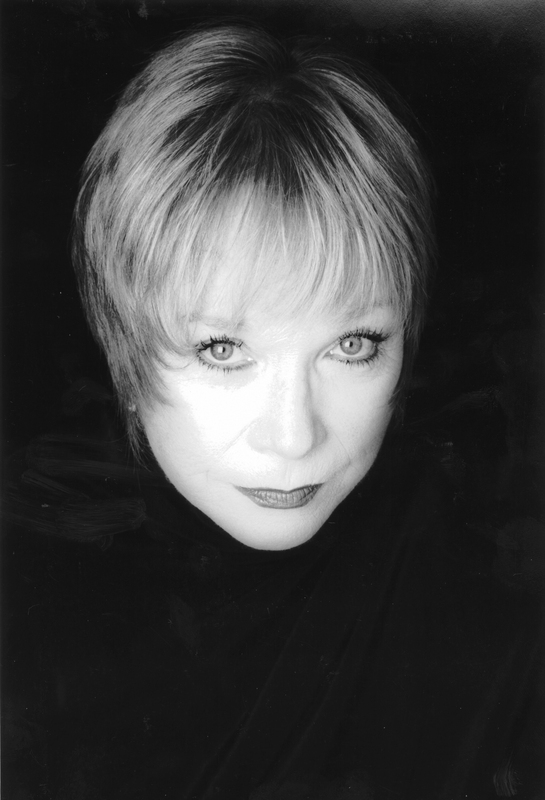 “The legendary MacLaine will leave you laughing out loud while scratching your head with questions."